In the heart of Normandy near the D-Day beaches, the Mercure Omaha Beach Hotel is located on the Omaha Beach 36-hole golf course. Come and enjoy the unique views from our restaurant's terrace. Experience true rest and relaxation with our outdoor heated po ol, hammam, sauna, massages and fitness center. 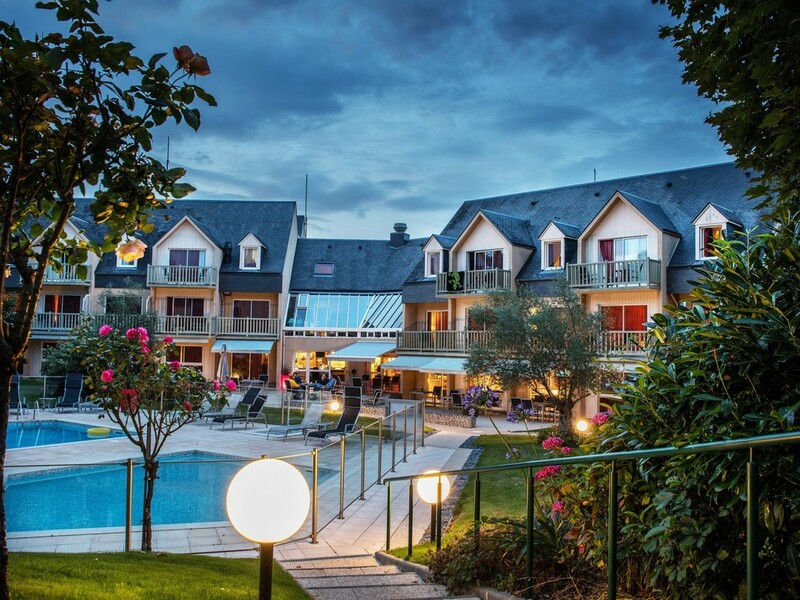 Mercure Omaha Beach Hotel is a must for combining golf, history and relaxation. Make the most of your business trip or break in this conveniently-situated 4-star hotel and explore the nearby artisan fishing village of Port-en-Bessin and Bayeux with its famous tapestry. Choose from different room categories: the double or twin Standard Room, the Club or Privilege Room, or for families, the Privilege Room or Duplex Room. The views from the rooms are testament to the exceptional location of the Mercure Omaha Beach, with views over the golf course, pool, or lush gardens. Discover the delicious dishes created by our new chef, with a simple bistro-style menu at lunch and more refined, regional dishes in the evening. Brunch on Sundays and bank holidays. Lounge bar with leather armchairs and stunning views of the sea and golf course. Bar with French billiards table, opening onto the terraces and gardens, with direct access to the swimming pool.